Ah it’s that time again! It wasn’t as close as last month, but it was pretty close again. As you know we started the Darknet Commenter of the Month Competition on June 1st and it ran for the whole of June and July. 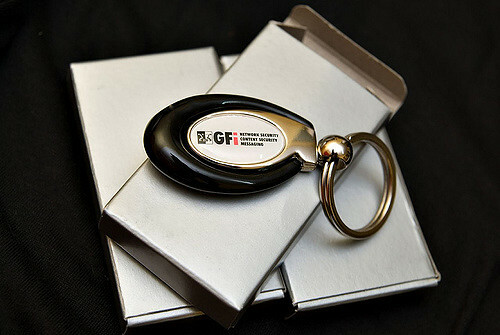 We have just finished the third month of the competition in August and are now in the fourth, starting starting a few days ago on September 1st – Sponsored by GFI. Just to remind you of the added perks, by being one of the top 5 commenter’s you also have your name and chosen link displayed on the sidebar of every page of Darknet, with a high PR5 (close to 6) on most pages (3000+ spidered by Google). So announcing the winner for August…it’s TheRealDonQuixote, very narrowly beating Sandeep Nain! TRDQ actually wins this month rather than getting an honourable mention like the previous two months, this month we’d like to commend Nobody_Holme for his top quality comments in the month of August. Keep commenting guys, and stand to win a prize for the month of September! 6 Responses to August Commenter of the Month Competition Winner! Woah. me, top quality? i must be slipping. Gratz TRDQ. Thanks Darknet!! Congrats to Nobody_Holme, you are top quality! Also, big ups to Sandeep for his always on point and informative comments. Congrats TRDQ for being August’s winner :-) Your prize from GFI will be on it’s way very soon… Big well done to the runners-up as well for ther participation. It’s great to see this contest being well received and adding more quality conversations here at Darknet :-) In the meantime… keep commenting! Oh snap, I almost forgot to thank GFI for supporting Darknet!! Sarah, thanks for supporting Darknet. It truly is a great place to “Hack to Learn”. Plus the articles are all unique, you won’t see a repost from popurls here. Now that that’s said and done, lets figure out how the PENTAGON got hacked by somebody in China?!?!?! DHS my bloody foot.